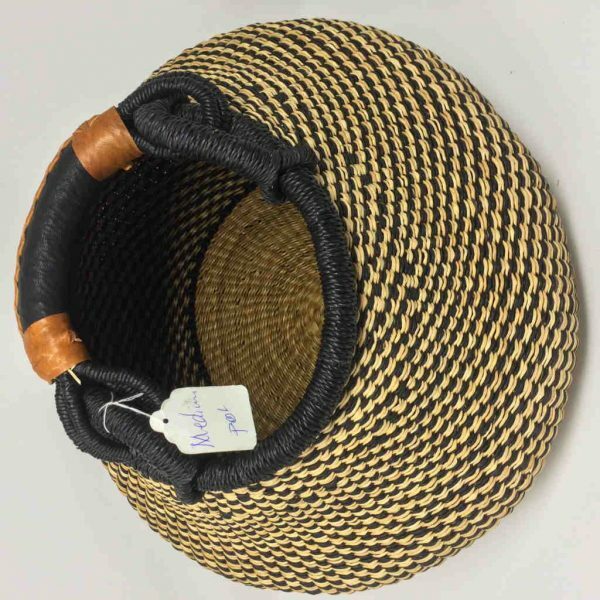 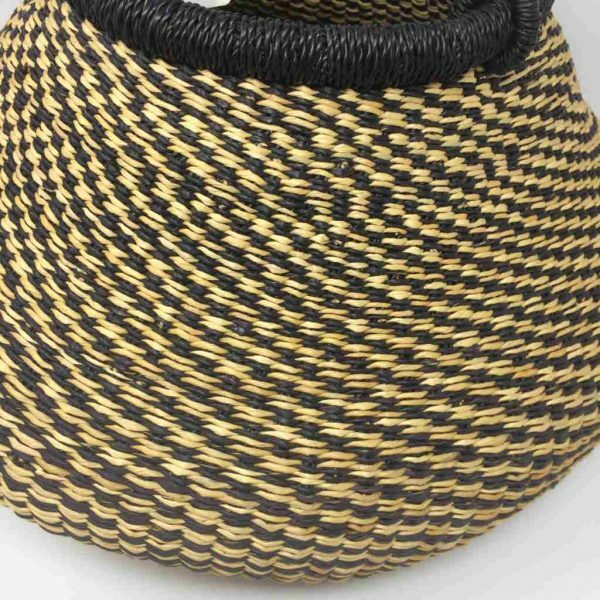 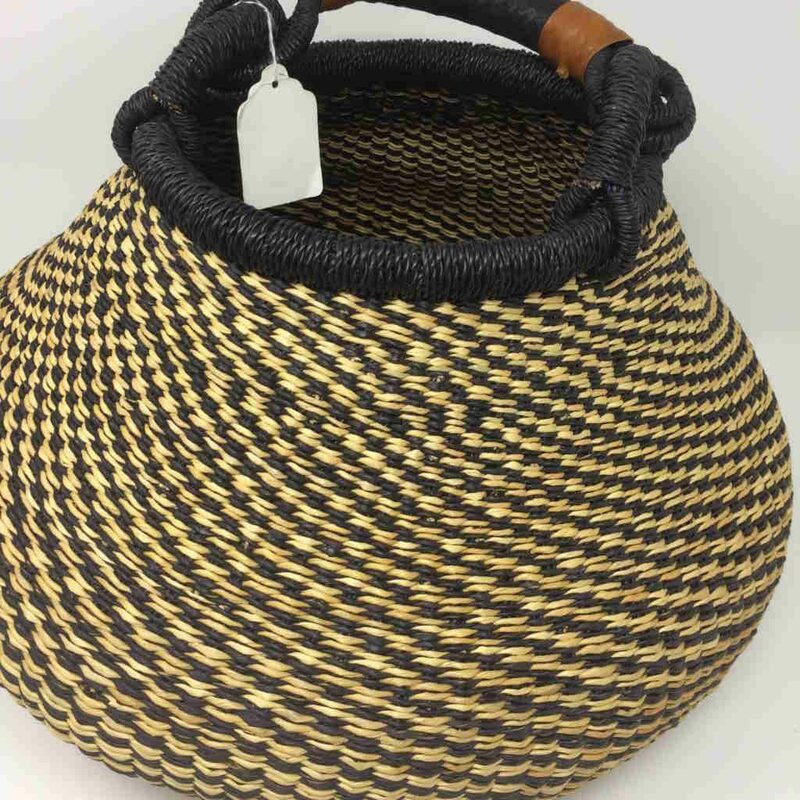 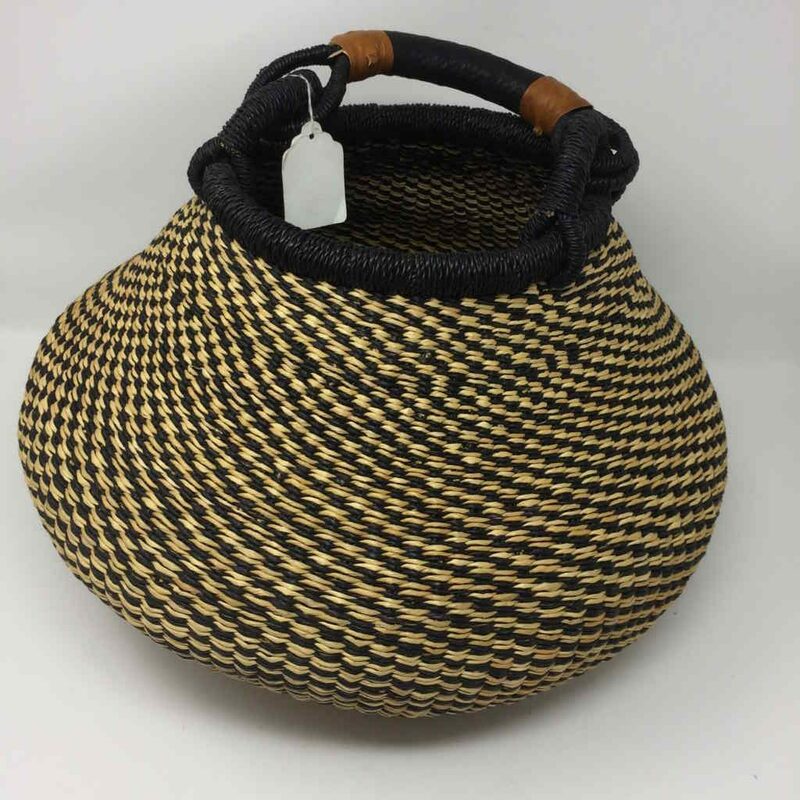 The Bolga Pot Baskets, also known as Gambingo Pots, are baskets made in the shape of a pot and have a moveable leather handle which makes them really practical. 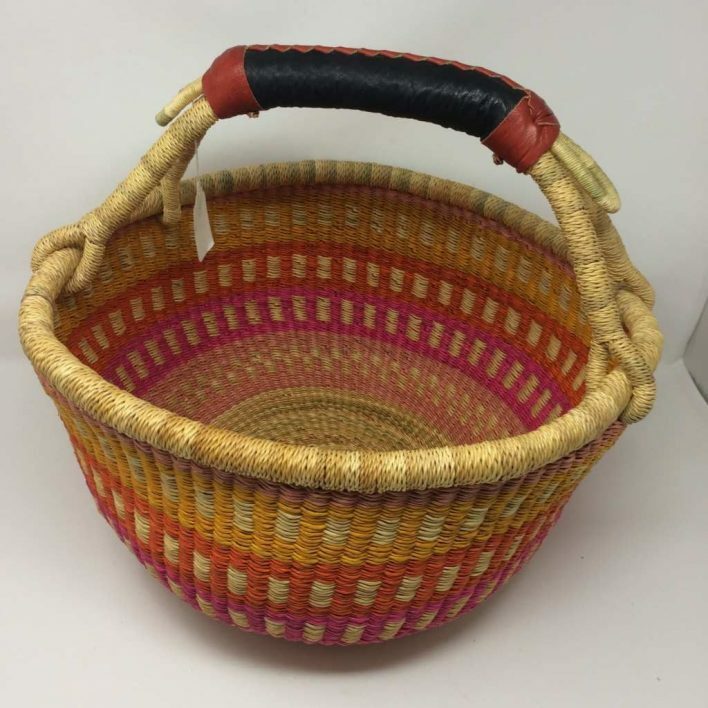 Whether used as a shopping basket or a storage basket they are an absolute pleasure. 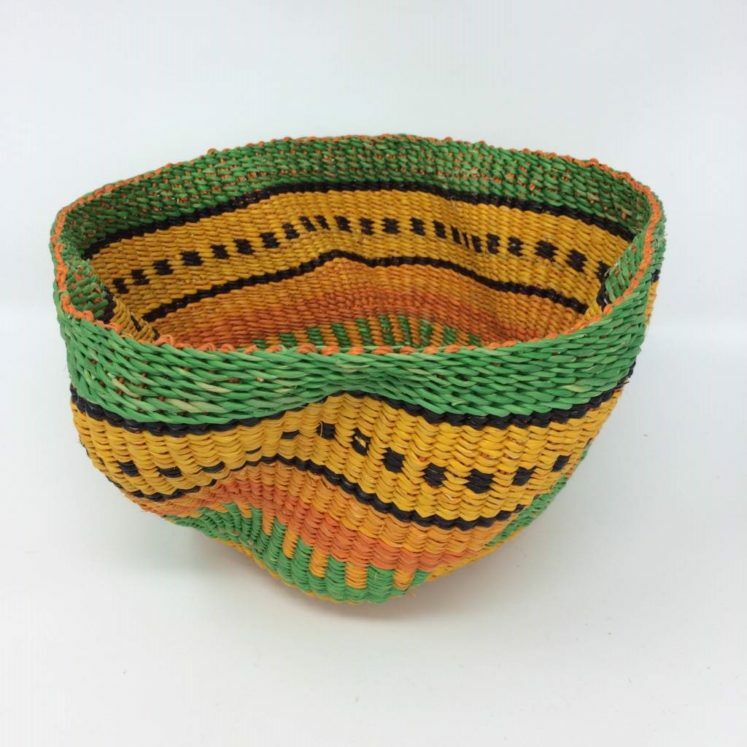 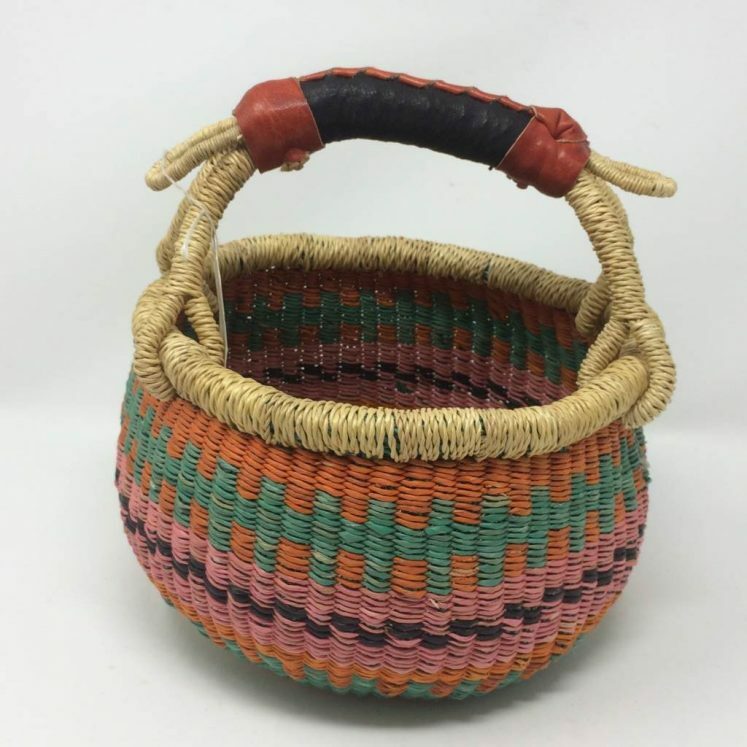 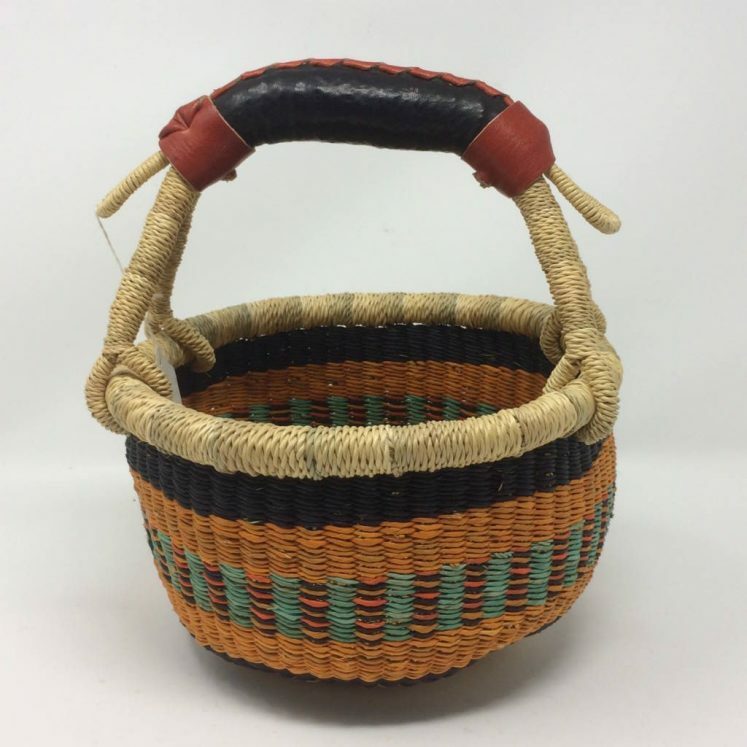 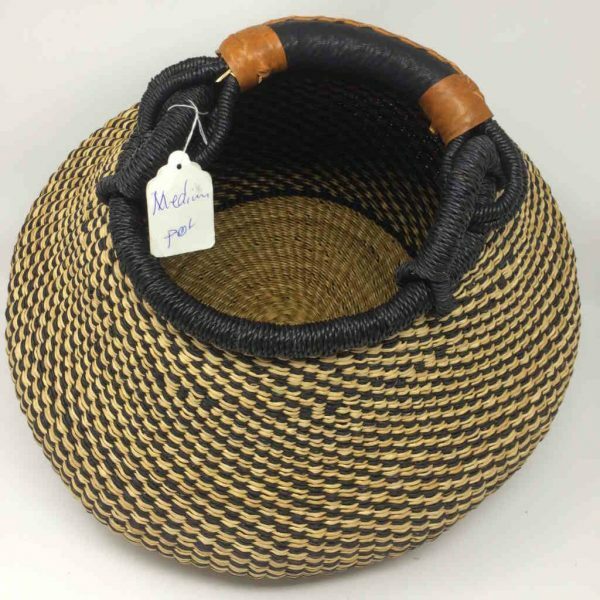 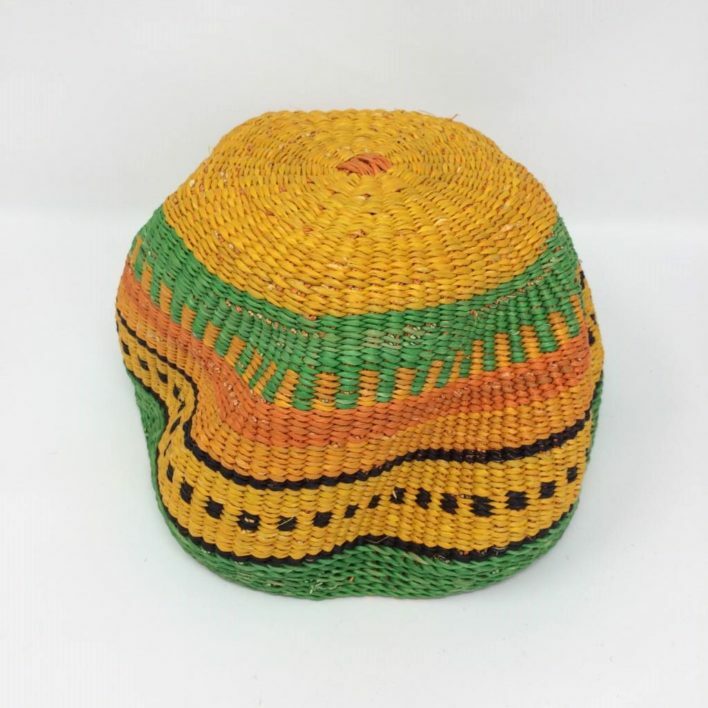 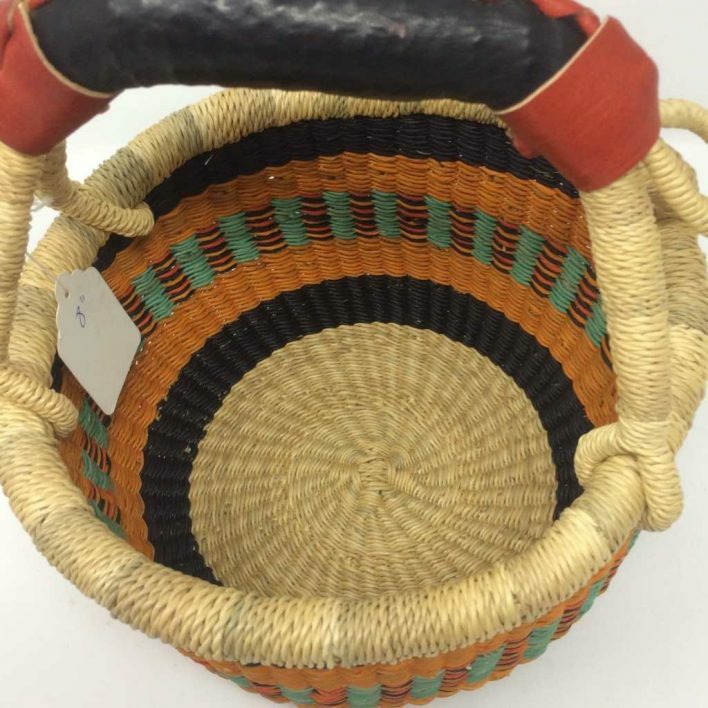 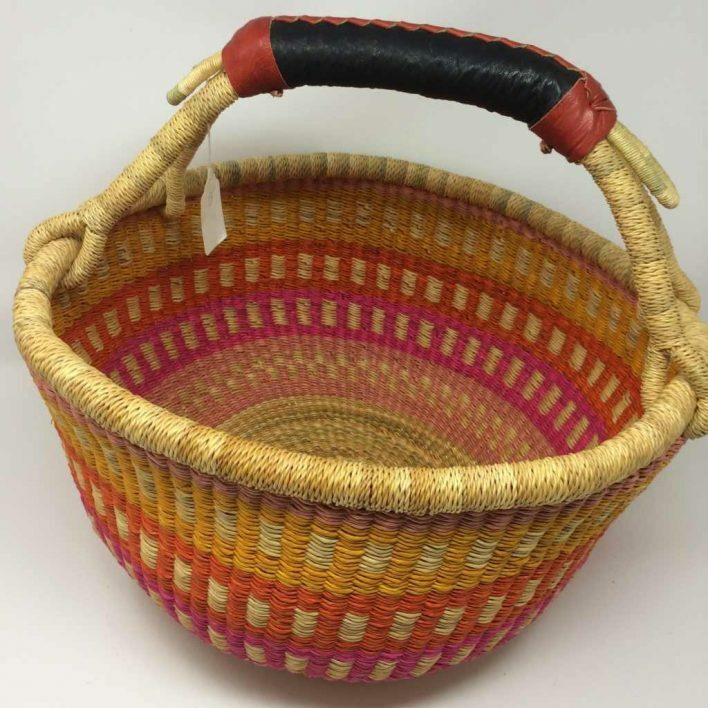 Gorgeous colours skilfully woven into a basket that will give you years of pleasure and use. 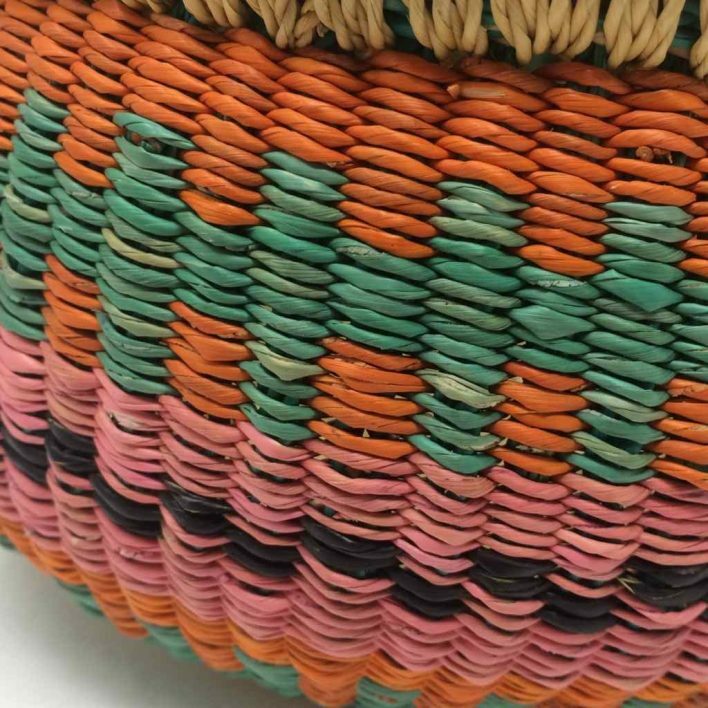 As with all of our baskets, apart from the completely natural, each and every basket is totally unique. Please note that these baskets will be delivered to you unshaped – full instructions on shaping will be included with your order.